Jeffrey M. Berman attended medical school at The Pennsylvania State University College of Medicine. After his internship and residency at The New York Hospital/Cornell University Medical Center, he completed a fellowship in gastroenterology at Thomas Jefferson University Hospital and is board certified in gastroenterology. Although he see patients with all types of gastrointestinal problems, Dr. Berman has special interests in liver disease and advanced endoscopic techniques, including biliary endoscopy and endoscopic mucosal resection. 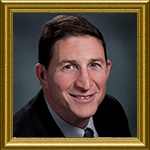 Dr Berman is a member of the Executive Committee of Gastrointestinal Associates, Inc.